Advantages: Good level of detail; includes four figures; bikes may be built deployed or folded; includes photo-etched spokes and chains; ideal for standalone scene or a larger diorama. The diminutive Welbike was a motor scooter developed by the Excelsior Motor Company in response to a 1943 requirement for a vehicle that could be dropped by parachute. At this time there were no British aircraft capable of carrying a jeep or other motorised transport. The Welbike weighed just 75 lbs and could be folded to fit inside a compact drop container, but it was uncomfortable to ride and it could only carry a single Paratrooper. Despite its limitations, the Welbike was used during the D-Day invasion and Operation Market Garden. Its two-stroke, two cylinder 98cc engine delivered a range of 90 miles. Beats walking in full battle gear I suppose! 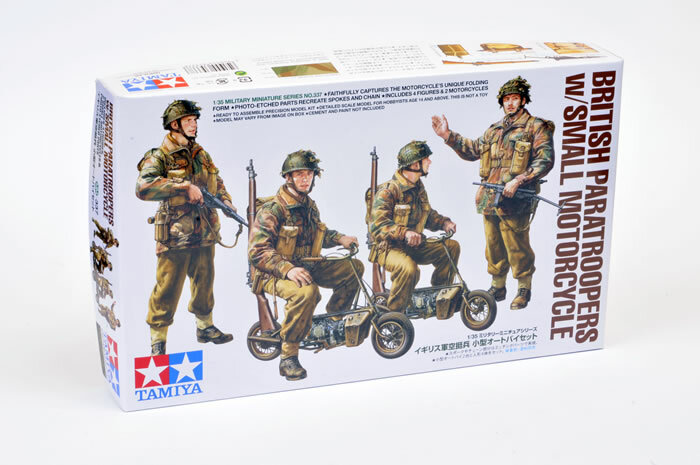 Tamiya has packaged four 1:35 scale WWII British Paratrooper figures in the same box as two Welbikes, although they are coyly referred to in this set simply as “Small Motorcycle”. 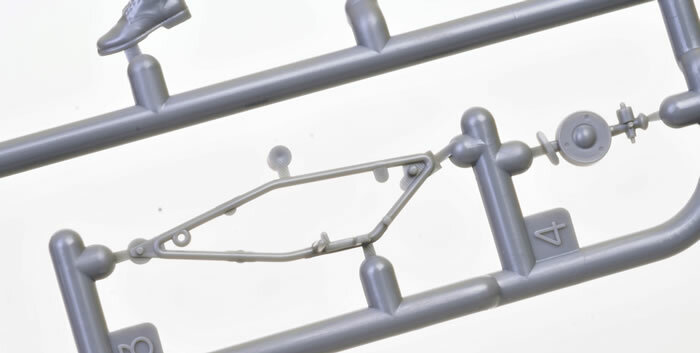 Four sprues of grey coloured plastic are supplemented by two small photo-etched frets. Moulding quality is excellent, with no ejector pin marks or other imperfections apparent. 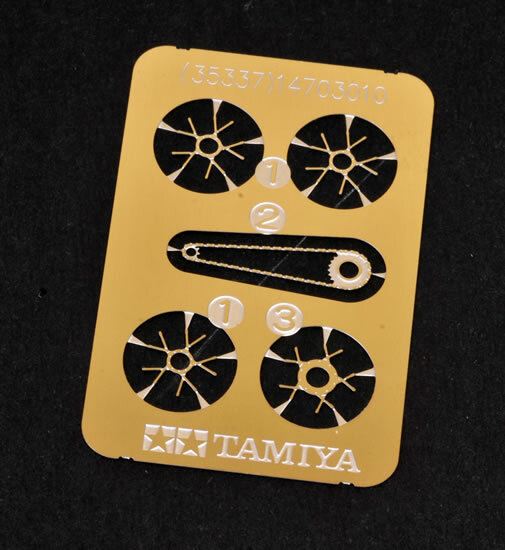 Tamiya's 1:35 scale Paratroopers and Wellbikes is a great little set that should fire the imaginations of modellers. 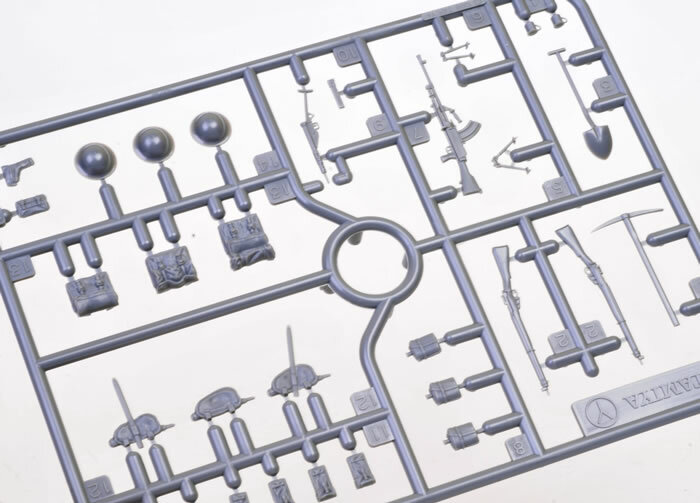 There is plenty of potential to use this set as a standalone vignette, or in combination with a vehicle for a larger diorama. Now all we need is an injection moulded 1:35 scale Light Tank Mk.VII Tetrach!